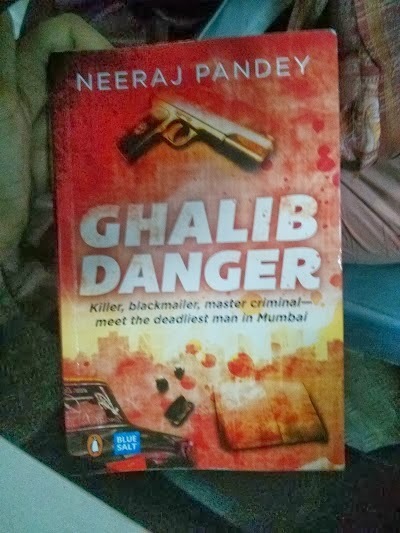 I was mainly looking forward to read the book because it is written by the director of movies "A Wednesday" & "Special 26" both which I loved and saw at-least 3-4 times each! 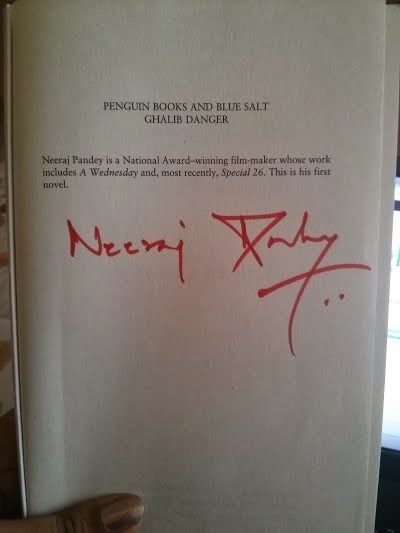 It was awesome to see the book signed by the author himself! The plot looked interesting, and as acclaimed, reading the book is like watching a bollywood masala movie! The book has a lot of references to "Ghalib" poetry, excerpts are included every now & then. I did not really understand most of them (Heck the main character of the story did not understand, how would I?). A few are translated for us to understand, but not all. I wish they were all translated. The book starts with a Prologue that is in the present, and then goes into back flash , just like a movie. And then towards the end we are taken back to the present. The main character is Kamran Khan, a village boy who comes to Mumbai and starts off as a Taxi driver and makes it big, and how! All the characters like Khitkhit, Mental, Sonia, Zeenat, Mirza etc are so well described, I could almost imagine them in my mind! The story is a little 'gory', with lots of murders & deaths, abusive language etc. But we see that in every movie too, so I guess things are changing with the time! And it does justice to the theme & characters, its based of the underworld after all. The story is based in early 1960-70s till present day. And the changes that took place with time is aptly described. There is suspense, thrill, twists & turns, drama, humor, romance, tragedy; basically its a complete package! I shall not reveal the story or its ending, because that would spoil the book reading experience for you. Its available online or offline and is priced at Rs. 250.